This year’s “on trend” color of the year from Pantone is Marsala. To me, Marsala looks more of a berry color and not a “red” as Pantone describes. I love berry colors and they are especially gorgeous and vibrant in fall & winter (in my opinion). The depth of jewel tones can not be matched by other colors. Jewel tones tend to be rich and vibrant and can stand alone. Carolyn Good of 2GoodClaymates recently released her color recipe for this year’s color, Marsala. You can get that color palette here. I live in NW Pennsylvania and I am surrounded by woods. I live in the snow belt of Lake Erie and we get more than inches … we get snow measured in feet almost every winter. (Currently tonight’s winter weather warning says 24″ of snow … yep, 2 feet in one night). Winter is my second favorite season of the year. I love it’s depth, wonder, brightness, & chill. 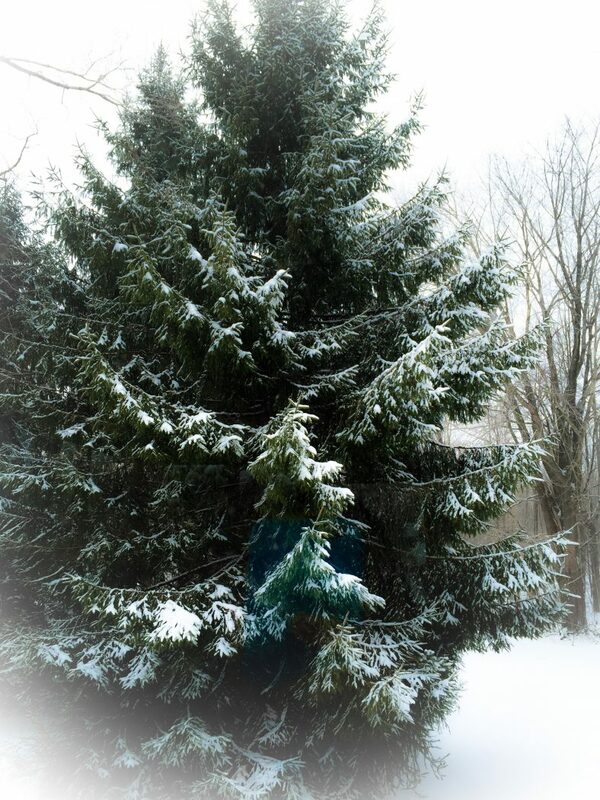 I especially love the deep winter colors that I see out my window every day: the deepest of greens in the evergreen trees, to the bright greens still visible on my Rhododendron. The scarlet reds that appear with the cardinals and the berries that remain on the bushes. This is winter’s finest! 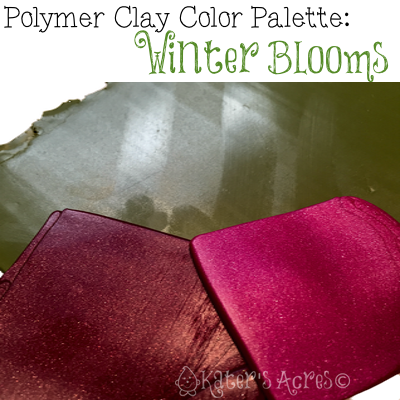 This Winter Blooms polymer clay color palette is much easier than it looks. The polymer clay color recipes for all three individual colors are listed below. Please click on the links for each color. Now that you are armed with a gorgeous color palette and 3 striking winter colors … let’s see what you will create with these colors. Leave a LINK in the comments below to where you showcased your work with this color palette. Next post: WIP Wednesday – Happy New Year!